The dispute between Bombardier and Mitsubishi has just moved to another stage while the Japanese elephant, whose annual turnover is around $ 550 billion for the entire Mitsubishi group, has filed in turn a lawsuit against the Quebec mouse which has only a meager $ 16 billion in annual revenue. In its complaint against Bombardier, Mitsubishi alleges that the manufacturer of the CRJ seeks to undermine the development of the MRJ by delaying the certification of the MRJ through the lawsuit that Bombardier filed against the Mitsubishi Heavy Industries (MHI) division for stealing its intellectual property. To blame Bombardier for the delays of the MRJ is an argument that makes us smile; As analyst Addison Schonland pointed out in a text published this morning on the Airinsight.com website, Bombardier certainly cannot be blamed for the delays of the MRJ, because if there is one thing that Mitsubishi has done well in aeronautics, it’s to be late in developing a new aircraft program. The MRJ is already nearly eight years behind schedule, the MRJ-90 variant is too big to be used by US regional carriers. The impacts of Bombardier’s lawsuit on the MRJ program are therefore very small and it is unlikely that the Japanese elephant will succeed. The setbacks of Mitsubishi with the development of MRJ raise the complexity of the development of a new commercial aircraft; having huge financial resources is not enough. The pursuit of Mitsubishi against Bombardier is far from dispelling the doubts that weigh on the MRJ program, on the contrary it raises even more, because it is suggesting that the hiring of former employees of Bombardier is crucial for its certification. The MRJ program is in serious trouble while it has only 278 firm orders, 160 of which come from the United States and relate to the MRJ-90 which does not meet the scop clause of the big three airlines. Another problem that Mitsubishi will have to deal with is that it have an agreement with Boeing to have Boeing service its support centers in the United States. One wonders what will happen to this deal once Boeing takes control of Embraer’s E-jet, which is a direct competitor of the MRJ. When Bombardier launched its lawsuit against Mitsubishi in October 2018, the filings revealed that Bombardier’s President and CEO, Mr. Alain Bellemare, had written to the MHI president a few times, but his letters had remained unanswered. We can very well imagine that the Japanese elephant was arrogant and did not understand what was his interest in responding to the Quebec mouse. Although this is far from the ideal method, Mitsubishi’s counter-suit has the merit of opening the dialogue between the two companies. In other words, the Japanese elephant has stopped ignoring the Quebec mouse. For now, the lawyers representing the two companies are the big winners of this dialogue, but at some point there should be some mediation sessions. It is at this moment that the dialogue should really begin between the two belligerents. With the C Series, Bombardier successfully passed through the certification process for a new commercial aircraft. Bombardier’s facilities in Wichita and its engineering group could be involved in MRJ certification. The strong presence of the CRJ in the United States has enabled Bombardier to develop a network of service centers capable of supporting the CRJs that are in service. Bombardier also has service centers in other parts of the world. These service centers would be an additional asset in convincing airlines to buy MRJs. If Mitsubishi has become entangled in the certification process, the MRJ-90 is still a good aircraft that would be a big competitor against the E2-175. The Japanese company also has access to enormous sums of capital that Bombardier cannot even dream of. Will 2019 reserve us another surprise? 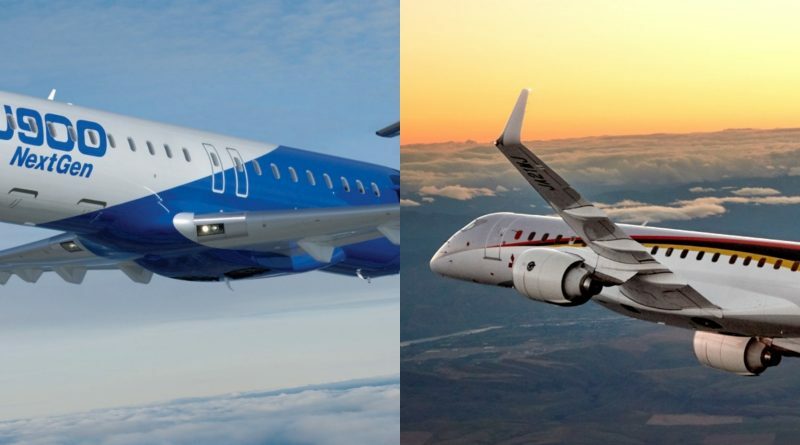 The hypothesis of an agreement between Bombardier and Mitsubishi plausible; how far are the leaders of the two companies willing to go to resolve their differences and advance their respective interests? Nobody is capable of answering this question. But if there is one thing we retain from Alain Bellemare’s three years at the helm of Bombardier, is that he has already said: “all the options are on the table”.